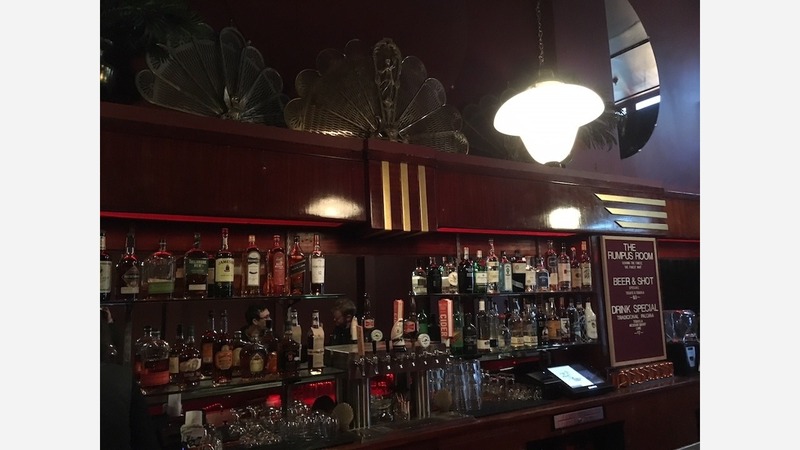 The Rumpus Room opened last week after months of renovating a space at 10 6th St. that's continuously operated as a bar since 1935. "I want it to be a neighborhood bar with a comfortable vibe and affordable prices," she said. Accordingly, well drinks are $5, most draft beers are $6, and a draft Budweiser is $3. 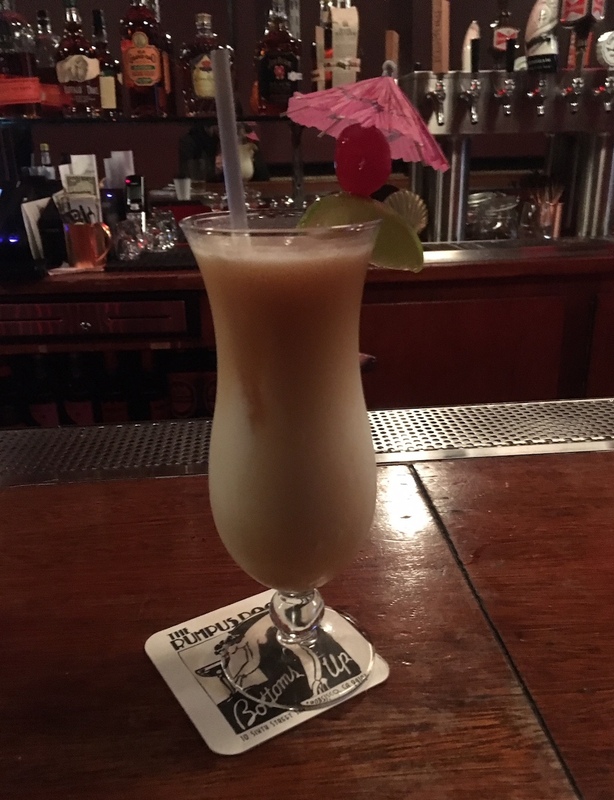 The Rumpus Room's pina colada comes with an amaretto float. Tap options include Moscow mule, along with white and rose wines. Happy hour runs from noon to 5:00pm, when most drinks are $1 cheaper. "I love tequila, so the well tequila is good," De Marco said. One hundred percent agave, a shot with a can of Tecate goes for $8. The Rumpus Room's cocktail menu also includes specials like a blended Pina Colada with coconut cream and pineapple, and the Weekend at Enrique's, which contains Vida Mezcal, Lillet, pineapple simple syrup and walnut bitters. De Marco said she chose the bar's name on a whim, but also because it describes a basement where fun is being had, like her establishment. Vintage Art Deco fixtures have been mounted over the bar and the DJ booth has been adorned with fake greenery. Accent walls are papered with a golden feather print, a motif that also appears on the back of candid shots taken in the bar's Photo-matica photo booth. 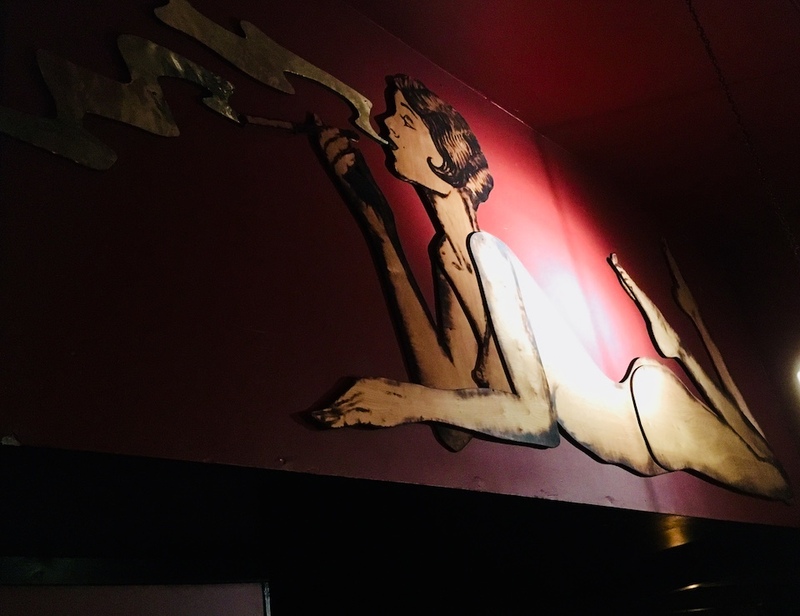 The highlight of the new bar's decor is "Ruthie," an enormous piece of wood art created by Walker Babington, who used only a blowtorch to create the work. The photo booth was outfitted to match the bar's Art Deco theme. De Marco, who majored in design, created the graphics for the bar's coasters, menus, and matchbooks. An arrow pointing to the bar's entrance will stay, but The Rumpus Room was recently awarded an SF Shines grant, which means a vintage-looking neon sign will replace the one left behind by Showdown. Before Showdown, the space housed Matador, which hosted "sweaty dance parties" said De Marco, a recurring event she hopes to bring back to the space.